Are you looking for Asheville homes and real estate here in the greater Asheville North Carolina area? We are Asheville NC Realty professionals here to show you the best homes, land and real estate buys in the Asheville area. We know where the best Asheville homes and Asheville real estate offerings are and always enjoy getting our clients the best homes and real estate deals in the Asheville area. Call Green Mountain Realty today for all of your Asheville homes and real estate needs in the greater Asheville NC area. Built in 2016 by Bluestone Construction, this timeless, European-styled stone and pebbledash residence is nestled in the affluent community of The Ramble Biltmore Forest. The abundant windows throughout the home look out to the protected views of the woods beyond. The inspiring kitchen was featured in Carolina Home + Garden Magazine and features a complete Thermador appliance package. The Ipe Wood - decked screened porch features a fireplace and a Lynx grilling station for the perfect mix of indoor/outdoor living and entertainment. Other features include cathedral and coffered ceilings, a newly fenced backyard, and a second laundry on the terrace level. Residents of the Ramble Biltmore Forest are privy to amenities including miles of walking/hiking trails, multiple parks, tennis courts, saline pool, the Living Well center and the security of a gated entrance and 24 hour patrol. I have a question about the property at 9 Burnham Way Asheville NC 28803 (#3476516). I would like to schedule a visit for the property at 9 Burnham Way Asheville NC 28803 (#3476516). A House to love on 2.6 acre Lot designed with privacy and long range views of the Mountains and the Biltmore Estate, enjoys year-round Mountain View, sited On a private cul-de-sac in the heart of Biltmore Park and is never to be Repeated. The highest level of finishes throughout, architectural features, Flagstone entry taken from the Grove Park Inn. Antique fireplace and wooden walls in the Master Bedroom wing taken from Biltmore House. Front door from the 18th-century salvaged from a Bank, Master bedroom Glass door from the 16th century, all brought from London At time of the construction. Post and Beam frame work in the living, dining / open Kitchen. Hardwood floor throughout finish with 6 inch planks. Large drive in court yard with pavers leading to an oversized 3 car garage. Spectacular wine cellar, several expansive decks, 5 parking spaces, soaring Ceilings, making this a exceptional House. I have a question about the property at 317 Braeside Court Asheville NC 28803 (#3477976). I would like to schedule a visit for the property at 317 Braeside Court Asheville NC 28803 (#3477976). Stunning urban loft in the heart of downtown Asheville. Step outside and enjoy the dining, music, art and beer the town is known for. Originally T.S. Morrison, this historic 1916 brick building was totally renovated in 2010. Dramatic rustic character throughout including original brick interior walls, hemlock floors, custom wrought iron railings and dramatic use of the original wood beams. Entertain with ease in the open floor plan that flows into the chef's kitchen complemented by handcrafted hood, poured concrete sinks & countertops and generous custom cabinetry. Master suite amazes with spacious custom closet/changing areas, spa-like bath with walk-in shower and sauna. I have a question about the property at 23 Rankin Avenue Asheville NC 28801 (#3470372). I would like to schedule a visit for the property at 23 Rankin Avenue Asheville NC 28801 (#3470372). Unique opportunity to own the largest floorplan available in The Fitzgerald, Asheville's most luxurious condominium. This 3 bedroom unit boasts long range mountain and downtown views as well as direct sight of the golf course. No expense has been spared in the numerous recent upgrades (see features sheet). Additionally, the Fitzgerald, home to only 24 residents, offers membership programs to enjoy all features of the Omni Grove Park Inn. Residents can gain exclusive access to amenities including: multiple dining venues, a Donald Ross designed golf course, sports complex and internationally renowned spa. Home is unparalleled. I have a question about the property at 288 Macon Avenue Asheville NC 28804 (#3470360). I would like to schedule a visit for the property at 288 Macon Avenue Asheville NC 28804 (#3470360). Exquisite custom home on a private lot in the heart of Montford. Built 2007 & renovated from 2017-18, this home features superior quality materials & workmanship throughout & blends perfectly with the historic homes of yesteryear while offering all of the modern day luxuries. The main level is open, bright, & perfect for entertaining. The chef's kitchen will impress with professional-grade appliances including an 8-burner gas range, dual Jenn-Air ovens, two Bosch Dishwashers, & contiguous granite backsplash. The main floor owner's suite is a private, spacious oasis with 2 custom closets & adjoins a sunny porch. The large upstairs bedrooms are flanked by two cozy library nooks & the third floor is designed as a large guest suite or fabulous yoga studio. The lower level is an entertainer's dream with a bar with 2 beer taps & movie theater & plenty of dry storage for wine & outdoor gear. Historic Montford features parks, restaurants, sidewalks, & offers easy access to downtown Asheville. I have a question about the property at 254 Pearson Drive Asheville NC 28801 (#3493525). I would like to schedule a visit for the property at 254 Pearson Drive Asheville NC 28801 (#3493525). Transitional Arts and Crafts styling in this 2012 custom home built by Pebbledash Builders. Protected wooded views behind this home are enjoyed by the massive windows in the open floor plan. The kitchen boasts a Thermador 48" gas range with double ovens, 48" fridge, pot filler, main and prep sinks plus a wine fridge. Thoughtfully designed mudroom and laundry area with a built-in desk keeps things tidy. A suite above the garage has separate stairs up from the mudroom area and a full bath for privacy for guests or a quiet home office. Ramble amenities include saline pool, sports courts, miles of trails, Living Well Center, gated access with 24 hr patrol. No City taxes in this section of The Ramble. I have a question about the property at 86 Brookline Drive Asheville NC 28803 (#3454030). I would like to schedule a visit for the property at 86 Brookline Drive Asheville NC 28803 (#3454030). On top of the world, this elegant private residence on 2.5 acres offers expansive living spaces with breathtaking mountain views from every room in the home! From the moment guests walk through the front door they are swept away by the views and comforted by the intimate design on the main floor living areas. Enjoy breakfast on the terraces or step outside in the afternoon with a glass of wine and experience the amazing mountaintop sunsets! The expansive master suite is just steps away from the living spaces making running to the kitchen in the middle of the night NOT a journey into the wilderness! For the fitness minded, your living spaces are thoughtfully connected to expansive workout or yoga studios on the lower levels and an adjoining office, one studio could be easily converted to a grand home theater! If your looking for elegant private living, minutes to downtown and with the most magnificent views you can find, look no more! Welcome home to the top of the world! I have a question about the property at 27 Peach Knob Drive Asheville NC 28804 (#3462817). I would like to schedule a visit for the property at 27 Peach Knob Drive Asheville NC 28804 (#3462817). REDUCED and priced to sell! This classic cedar shingle and stone home built in 2015 offers sophisticated architectural design with spacious, flowing floor plan and multiple large windows. Attractive open views to the front of house. Close to all Ramble amenities including Longmeadow Park, walking trails and Living Well Center. Exquisite selections of trim, cabinetry and tile, with hardwood floors throughout, every detail is perfectly integrated. This elegant house is like new and move-in ready. Main level offers a bright sunroom and large dining room, a stately great room with splendid open kitchen and breakfast area. There's also a large all-season glazed/screened porch with fireplace. Master bedroom with spa-like bath and extensive walk-in closet. Upstairs there's a cozy landing with generous sitting area, with three large en-suite bedrooms each with walk-in closets. Hall closets are elevator ready. Spacious garage with generous storage space. Concrete floor crawl space. A MUST SEE! I have a question about the property at 3 Brookline Drive Asheville NC 28803 (#3414803). I would like to schedule a visit for the property at 3 Brookline Drive Asheville NC 28803 (#3414803). There is nothing that isn't right about this home. Located in Asheville's Kenilworth area, it's not only an outstanding location near the Biltmore, the home is ready for you. With 9 bedrooms, 8-1/2 baths plus a 2 bed, 1 bath cottage, it's perfect for a large family, or a family who has lots of guests, and consider the guest house for a housekeeper. Currently this home is offered as a B & B to guests throughout the world who seek high end accommodations. The owners have meticulously and thoughtfully cared for this beautiful property, replacing the old with new such as a the roof and a high speed wireless system. It's professionally landscaped, has ample parking, totally elegant and inviting. Visit www.77kenilworthrd.com. I have a question about the property at 77 Kenilworth Road Asheville NC 28803 (#3470738). I would like to schedule a visit for the property at 77 Kenilworth Road Asheville NC 28803 (#3470738). I have a question about the property at 28 Cedarcliff Road Asheville NC 28803 (#3364572). I would like to schedule a visit for the property at 28 Cedarcliff Road Asheville NC 28803 (#3364572). INCREDIBLE VALUE! This immaculately kept, state-of-the-art home in the Braeside section of Biltmore Park boasts views of the Biltmore Estate & offers the finest finishes, quality & craftsmanship. Situated on 2 acres, the home features Mexican marble fireplaces, office w/herringbone hardwood floors, cherry cabinetry & Viking appliances throughout, elevator, home theater, billiard room & complete lower level guest suite w/family room, full kitchen & dining room. View the Matterport 3D tour! I have a question about the property at 319 S Braeside Court Asheville NC 28803 (#3260910). I would like to schedule a visit for the property at 319 S Braeside Court Asheville NC 28803 (#3260910). Great potential take this home to a whole new level.Lot 1 home away closed for $1.2M and most homes on the golf course on Eastwood sell for over $2M.Sited on 1.69 acres w/direct golf course access.Gracious entrance features double staircase opening to formal rooms,open kitchen, family room with stone FP,screened porch.Carved from an historic estate the old stone wall w/a moon gate form a backdrop for a koi pond accenting the circular drive.Terrace level daylight expanse w/FP ready for finishing. I have a question about the property at 23 EASTWOOD Road Asheville NC 28803 (#NCM587680). I would like to schedule a visit for the property at 23 EASTWOOD Road Asheville NC 28803 (#NCM587680). Open Floor Plan overlooking Country Club of Asheville golf course. Excellent N. Asheville location. View across 6 fairways. His & Hers separate baths in master suite. Office/Library, open foyer, living room, eat-in kitchen and formal dining on main. Opens to deck across back of home. Excellent for Entertainment. 2 bedroom suites on upper level. Incredible space on lower includes Recreation/Game/Exercise area, family room, private office/study and bonus room. Opens onto stamped concrete patio at fairway level. Large double garage on main with storage/workshop. I have a question about the property at 66 Elk Mountain Scenic Highway Asheville NC 28804 (#3453724). I would like to schedule a visit for the property at 66 Elk Mountain Scenic Highway Asheville NC 28804 (#3453724). I have a question about the property at 75 Broadway Street Asheville NC 28801 (#3484752). I would like to schedule a visit for the property at 75 Broadway Street Asheville NC 28801 (#3484752). I have a question about the property at 40 Windcliff Drive Asheville NC 28803 (#3487349). I would like to schedule a visit for the property at 40 Windcliff Drive Asheville NC 28803 (#3487349). Magnificent French country home on private 10 acre lot with exceptional architectural design and craftsmanship. The vast open outdoor space is perfect for horses. Inside you are surrounded by custom walnut trim and gorgeous stone, and long range mountain views are seen from almost every room. The chef's kitchen is top of the line with Carrera marble and commercial grade appliances. The library holds an elegant 100 year old English bar. On the upper level, the master suite features a private viewing porch, large window to the west, two fireplaces, a jetted tub, and marble shower. See the sunset from your balcony and bedroom each evening. Just above the master is a secluded hideaway with endless possibilities. Whole house audio and dimmable lights in every room insure that you are able to create the perfect ambiance for yourself and guests. Call for feature list, floor plan diagram and video. Schedule a showing to experience for yourself what awaits you at 33 Walnut Grove Ln. I have a question about the property at 33 Walnut Grove Lane Asheville NC 28806 (#3454510). I would like to schedule a visit for the property at 33 Walnut Grove Lane Asheville NC 28806 (#3454510). The recent renovations at this European home are totally refreshing and of today. Elegant living with surprising privacy from every room and the outdoor living areas. Grassy lawn surrounded by mature trees, light and bright with a wonderful connection to the outdoors. Four fireplaces. Cul-de-sac location with plenty of room for everyone. This is an incredible value in the neighborhood. Enjoy Ramble amenities: gated with 24 hr access patrol, miles of walking trails, saline pool, Living Well Center, Longmeadow Park, Bucksprings Cabin, tennis court, pickleball & bocce ball. No City taxes in this section of The Ramble. I have a question about the property at 6 Vaux Court Asheville NC 28803 (#3405019). I would like to schedule a visit for the property at 6 Vaux Court Asheville NC 28803 (#3405019). Like new 2017 Energy Star Certified home by Buchanan Construction and Parade of Homes winner. The open floor plan flows effortlessly through the recessing doors to the screened porch with an Eze-Breeze Window system for year round enjoyment. The rear of this home backs to an expanse of woods with a creek beyond. Isokern fireplaces warm both the great room and the screened porch and the towering stone hearths anchor the spaces. Full unfinished lower level for future expansion. Hallett Court adjoins The Living Well Center with a saline pool, exhibition kitchen, exercise facility and community gathering space. Enjoy all Ramble amenities - gated with 24 hr patrol, miles of trails, tennis, pickleball and bocce ball, Buckspring's Cabin, Longmeadow Park. I have a question about the property at 35 Hallett Court Asheville NC 28803 (#3484602). I would like to schedule a visit for the property at 35 Hallett Court Asheville NC 28803 (#3484602). I have a question about the property at 288 Macon Avenue Asheville NC 28804 (#3460914). I would like to schedule a visit for the property at 288 Macon Avenue Asheville NC 28804 (#3460914). Located in North Asheville's highly desirable Lakeview Park, this beautiful Cape Cod is brimming with curb appeal. An entertainer's dream, you and your guests will enjoy beautiful outdoor spaces, including a flagstone patio, expansive deck, gardens, and waterfall. Inside this masterfully remodeled home are elegant clean lines and contemporary finishes, including a fabulous great room featuring a stunning custom glass stairway and soaring fireplace. The open floor plans leads you into the chef's kitchen with expansive windows, Thermador gas range, custom cabinetry, granite counters and tumbled marble backsplash. The spacious owner's suite and spa bathroom are a true retreat. The lower terrace level guest quarter's offer private living with a full kitchen and two additional bedrooms. The Country Club of Asheville, Beaver Lake, shopping and restaurants are at your fingertips, and vibrant downtown Asheville is only two short miles away. I have a question about the property at 366 Midland Drive Asheville NC 28804 (#3462267). I would like to schedule a visit for the property at 366 Midland Drive Asheville NC 28804 (#3462267). I have a question about the property at 10 Country Club Trail Asheville NC 28804 (#3428868). I would like to schedule a visit for the property at 10 Country Club Trail Asheville NC 28804 (#3428868). Proposed modern farmhouse custom designed by award winning architect Con Dameron (The Architectural Practice) to be built by Bluestone Construction with gorgeous cedar and stone exterior and refreshingly clean modern styling in The Ramble Biltmore Forest, a gated community on pristine property that was formerly part of the Biltmore Estate®. 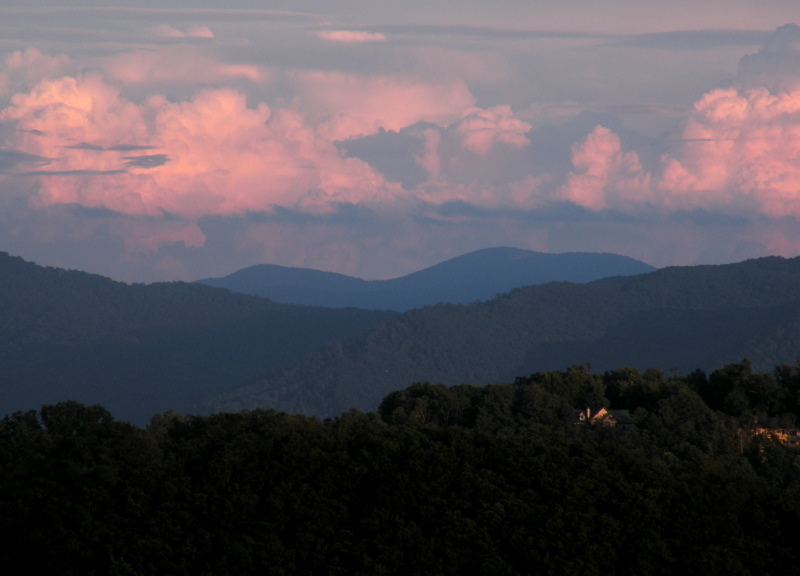 The Ramble is a gated custom home community just 10 minutes south of downtown Asheville. Community amenities include miles of hiking trails, parks, Living Well Center complete with outdoor heated saline swimming pool, tennis, bocci and pickleball courts, fitness center, and more. Taxes TBD. I have a question about the property at 8 Burnham Way Asheville NC 28803 (#3286728). I would like to schedule a visit for the property at 8 Burnham Way Asheville NC 28803 (#3286728). Interested in a second home that could double as a potential vacation rental? We've found your match! All-encompassing views of the Blue Ridge Parkway and the French Broad River are just a portion of what makes this home paradise. Wake up every morning in the clouds and end each day with a picturesque sunset from your panoramic views. Stunning, upgraded, custom home on 1.26 acres. Open concept living, floor to ceiling windows, and an exceptional renovation in 2016/17. Master on main, three en-suite bedrooms upstairs. Covered porches on main level and ground so you don't lose a minute outside. Come inside to light, bright, cozy interior with 3 fireplaces. Your private retreat is conveniently 7 minutes from thriving downtown Asheville, the Grove Park Inn amenities and outdoor opportunities of the Blue Ridge Parkway. This home would be an ideal place to make lasting memories and share that chance with others. I have a question about the property at 50 Running Ridge Road Asheville NC 28804 (#3446903). I would like to schedule a visit for the property at 50 Running Ridge Road Asheville NC 28804 (#3446903). Beautiful Country French home with stone, brick and stucco exterior. Slate roof and copper gutters. Open floor plan on both levels. Vaulted turret foyer, custom cabinetry, granite, 4 fireplaces, beamed master suite, dis-tressed wood flooring, central vac, (electric)screen porch w/grill, elevator, 2 masters, high ceilings, custom iron 5' wide oak staircase,media room and stone wine cellar w/reclaimed church doors. Gardener shed/workshop w/outside entry. Seller is NC licensed real estate agent. Listed by Barbara Boettcher of RSB Developments, Inc. I have a question about the property at 20 Snap Dragon Court Asheville NC 28804 (#3308521). I would like to schedule a visit for the property at 20 Snap Dragon Court Asheville NC 28804 (#3308521). I have a question about the property at 19 Ridgefield Place Asheville NC 28803 (#3496539). I would like to schedule a visit for the property at 19 Ridgefield Place Asheville NC 28803 (#3496539).